Who is this TV Skyler White person I keep hearing about? Forget that person, because I got to interview the REAL Skyler White! 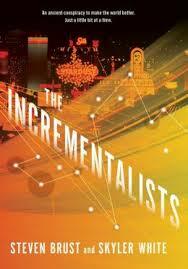 You know, the author who co-wrote The Incrementalists, one of my favorite books of the year? For some background, check out Skyler’s website, or my review of the book. Ok, have you done that? Cool! Let’s dive into the interview! Hi Skyler, Introduce yourself! Please tell us a little about who you are and about your earlier books, And Falling, Fly, and In Dreams Begin. 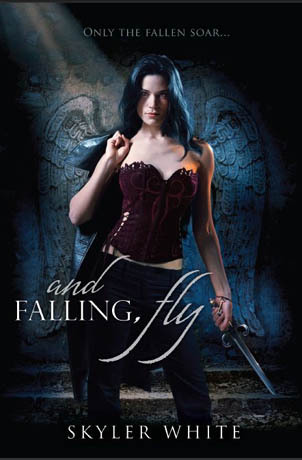 and Falling, Fly was my first published book – a vampire allegory/love story between the fallen angel of desire who can only feed from those who want or fear her, and a neuroscientist, secretly formulating (and testing on himself) drugs to stop the images he thinks are delusions. 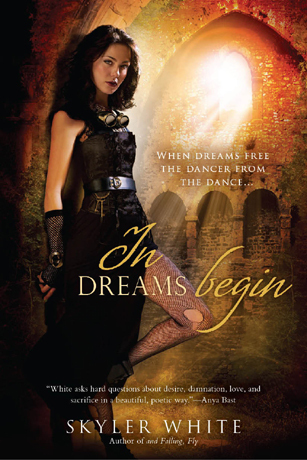 In Dreams Begin is a secret history/time travel that begins when the consciousness of a modern woman is stolen on her wedding night and channeled into the body of Maud Gonne, the Victorian occultist and Irish revolutionary who was also all tangled up with the poet WB Yeats in strange ways. Did you always want to be a writer? How did you get started writing? Who are some of your favorite writers, or writers who have influenced you? I didn’t start thinking of myself as a writer until a few years ago, although writing to some extent — and certainly reading — has always been a part of my life. Before that, I was mostly feeling my way from one thing to the next trying to make a Life Path out of a fairly incoherent collection of interests. Mercifully, having become a writer, I can now claim all that as research! It’s almost impossible for me to pick favorites, or even influences, but the Greatest Hits list would have to include: the D’Auliers, Rosemary Sutcliff, George Orwell, Anne Rice, Tom Robbins, Neil Gaiman, Emma Bull, Margret Atwood and obviously, Steven Brust. Your official bio says you have, among other things, studied ballet and been on Reality TV. That sounds pretty fascinating (the ballet part especially, since I have two left feet), could you tell us a little more? It’s interesting that you put those two things together, because they’re connected in an odd way. I started dancing when I was tiny, and by the time I hit middle school I was a serious student of ballet – lessons three days a week after school, calorie control, the whole thing. It wasn’t healthy and it wasn’t actually the ideal art form for me, but it was closer than piano. I didn’t have either the right body or mind for ballet – too much Irish peasant and curiosity – but it taught me discipline, hard work and how to take criticism. For ten years, I stayed away, convinced I couldn’t have a healthy relationship with both my body, and dance. But I missed it too much and eventually found my way back, taking classes in almost every dance form except ballet, for exercise and fun. Then two things happened: I turned thirty-nine and discovered aerial silks. I was very worried that I’d hit forty and feel like I hadn’t accomplished as much as I should have by that point in my life. So I got busy collecting counter evidence. I started signing up for things: new hobbies, reality TV shows…. Turns out aerial silks are my ideal art form, and had I found them when I was ten, I might well still be in the circus. I love the grace and muscularity, the beauty and the danger, so when our Trading Spaces application got picked up, we volunteered our living room with the 20’ foot ceilings for them to remodel, and we suggested the addition of a silks climbing rig might make some pretty fun TV. I practiced silks, and I discovered that, while I could learn to do much of what I so admired at Cirque du Soleil, it required more in time and energy than I wanted to dedicate to anything except people and writing. We taped the show, I did a few tricks, then I turned forty. And I realized I didn’t really care about what I had or hadn’t accomplished so far, because there was too much I was excited about doing next. I had spent a whole year looking forward to looking back, and just kept looking forward instead. Much more fun. And dancing now lives in my world where I put it – not where I fled it or it left me. How did you meet Steven Brust, and how did the idea for The Incrementalists come about? I met Steve at a con, but I’d read and loved, To Reign in Hell a few years earlier so I knew who he was. We got into some minor point on craft during the panel and yabbered at each other for most of the hour. I met him again at another con later and he invited me to Fourth Street, the conference he runs in Minneapolis. There, we realized we both lived in Texas. I joined his critique group, we got to be friends, and he moved back up north. He returned for Armadillo con in Austin and stayed with me. We sat up one night on the front porch talking and drinking and he told me about collaboration and Tappan’s idea and we had too much fun to quit. The first scene showed up in my Inbox the week after he got home. What was your writing process for writing it together? He says “you write the fun parts and, when it stops being fun, you send It to the other person.” But for us it ended up being a back and forth between two protagonists – Phil, who Steve writes, and Ren, who I do. He’d write a Phil scene, email it to me, I’d read it and write a Ren scene. The first scene of the third chapter is my sentimental favorite. I think the language is just gorgeous, but it’s also the point where I knew we could do this. It was where my teeth really sank into the project and I believed it was possible, as opposed to just a fun experiment or a crazy idea. My new favorite interview not-question is a fill in the blanks: If you enjoy _________, _______ and _______, you’ll love The Incrementalists. Any upcoming appearances, book-signings, or conventions you’ll be attending? Murder by the Book in Houston on September 26, Alamosa Books in Albuquerque on October first, Mysterious Galaxy in San Diego on October 11 and Borderland Books on October 12. Additionally Steve will be reading and signing at Flyleaf Books in Chapel Hill on October 2 , and at Pandemonium Books on October 20. 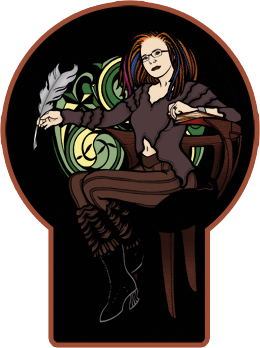 He and I and our Tor editors will all be at FenCon in Dallas October 4-6 and the night of the sixth, we’re hosting a party at Book People in Austin where we’ll also read and sign. Now that The Incrementalists is out in the wild, do you have any new projects that you’re working on? Steve and I are working on the second Incrementalists book and I’ve written a mythoerotic novella that I’m working on self-publishing. ::grin:: I treasure her memory. Hours and hours of ballet practice? I can sympathize, except for me it was Piano. And hmmm… Is Trading Spaces still a show (I haven’t got cable). Cuz I’d totally sign up for it and request tons and tons of built in bookcases!! what’s that emoticon of the eyes bugging out? That’s what my face looked like when I saw the words “working on the second Incrementalists book”. Because you guys. really. you need to read The Incrementalists! If you don’t like it, it’s okay, I promise we can still be friends, but srsly. read it. oh, and stay tuned. 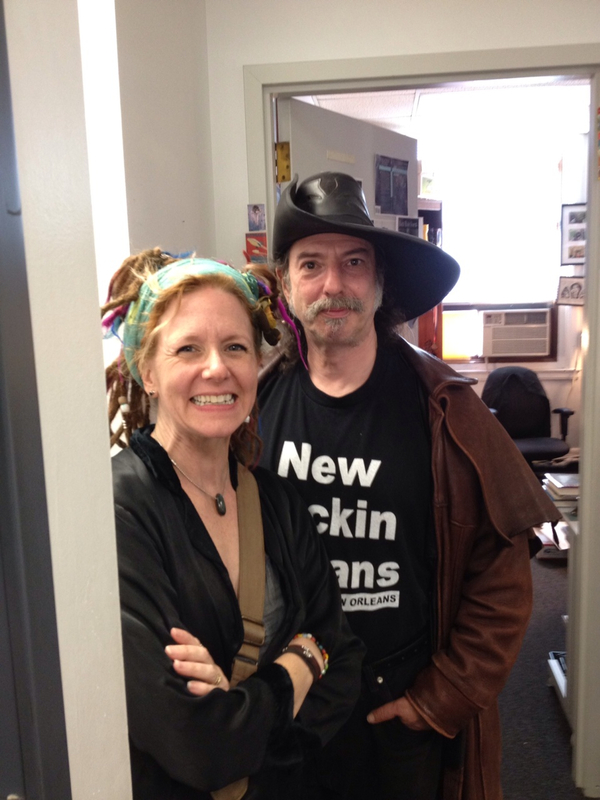 Interview with Steven Brust is coming soon! 2 Responses to "Interview with Skyler White!" I’m very excited to read this – and now there’s a second in the planning as well! What could be better.